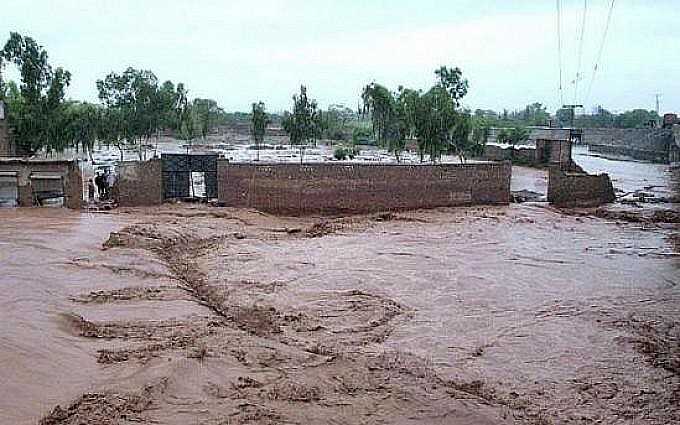 The latest report of the Provincial Disaster Management Authority (PDMA) on flood situation in Khyber Pakhtunkhwa shows that most of the rivers in the province are in medium and low floods with some of the rivers flowing normally. Kabul River is in medium floods at Warsak and Nowshera with 41,600 and 27,580 cusecs water discharge respectively. Indus River has also been recorded with medium floods having water discharge of 293,020 cusecs at Attock and Khairabad area while low floods have been recorded. The actual river flows and reservoir elevations of Sunday indicated that Tarbela and Mangla reservoirs were at elevations of 1516.80 feet and 1228.55 feet respectively, which were 33.20 feet and 13.45 feet below their respective maximum conservation levels of 1550.00 feet and 1242.00 feet. Sunday’s combined live storage capacity of Tarbela, Chashma and Mangla reservoirs was 10.962 million acres feet (MAF) as compared to last year’s 12.445 MAF. According to PDMA report, Panjkora River is in low floods at Dir with 10,796 cusecs water discharge while Swat River is in medium floods at Munda Headworks having 17,386 cusecs water discharge. Swat River recorded low floods at Khiali area in Charsadda with 16,377 cusecs water discharge while it is flowing normally at Khwazakhela and Chakdara Bridge. Shah Alam River is in low floods at Takhabad area having water discharge of 5,587 cusecs and Adezai River is in medium floods with 46,900 cusecs water discharge at Adezai Bridge. The report shows that Jindi River, Kalpani Nullah, Kurram and Kunhar Rivers are flowing normally with 336, 3368, 1890 and 6517 cusecs water discharge respectively at Charsadda, Mardan city, Kurram Garhi Headwords and Balakot.